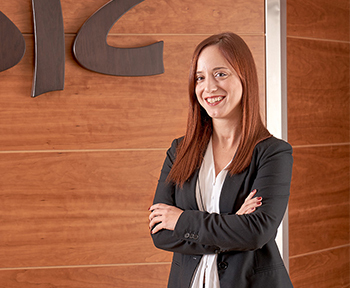 Iris G. Ntolaptsi is an associate at Calavros Law Firm - Filios - Babiniotis - Kloukinas since 2018. She was admitted to the Athens Bar in 2014 and holds an LL.M. in Private International Law from the National and Kapodistrian University of Athens and an LL.M. in Commercial Law from the Université Paris 13. Iris specializes in dispute resolution with a focus on civil, commercial and banking litigation. She represents clients on a variety of domestic and cross-border disputes, including breach of contract, product liability and disputes arising from the performance and termination of commercial agreements. Iris also regularly advises clients on real estate issues and commercial lease agreements.